Antinitus has, via its parent company Sensori AB (publ), signed an agreement to become “Companion of the World Veterans Federation”. The collaboration means that Antinitus supports the federation and its members through training and information about tinnitus. In conjunction with this, information about the tinnitus patch Antinitus and the product itself becomes readily available to veterans who suffer from tinnitus. World Veterans Federation (http://www.wvf-fmac.org) is the world’s largest charity organisation for war veterans and consists of 170 associations with 45 million members in more than 120 countries. WVF works to promote and defend peace and security, and ensure health and well-being for all veterans and victims of war. The organisation has an advisory status in the UN. “We look very positively at the collaboration with Antinitus, as several million of our members suffer from tinnitus”, says Dan-Viggo Bergtun, President of the WVF. 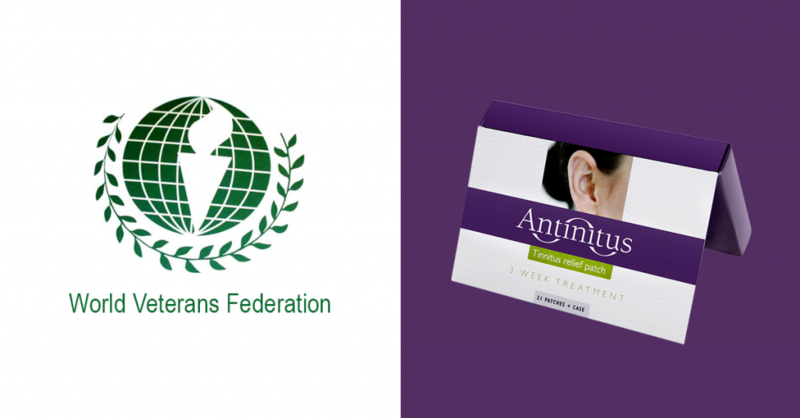 Information, distribution and the sale of the tinnitus patch to members of the WVF is initially carried out via e-commerce and by referral to private hearing clinics, ear, nose and throat physicians, audiologists and via pharmacies in various countries.